Literature funding upheaval – so who should get the goodies? There may not be blood, but we should expect a fight. At last, after repeated delays, the review of government support for publishing and literature in Wales has appeared. And what a report it is. 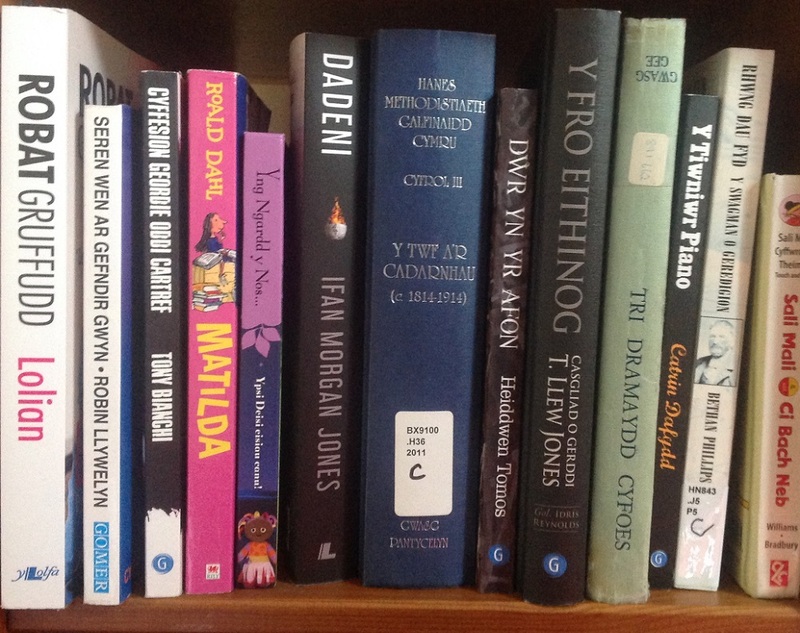 Personal and partisan in tone, its recommendations are harsh: to strip Literature Wales of most of its functions and funding, and transfer them to the Books Council. Reading the report, it’s hard not to feel that Literature Wales has been punished because its Chair did not appear before the panel, and the panel felt disrespected. In some places, the tone is one of offended dignity. In other places, it sounds like an authoritarian parent telling off a child for eating too many sweets, and then ticking off the babysitter for not paying attention to what the child was doing. No more sweeties for you, Literature Wales. And no more babysitting for the Arts Council. Meanwhile, the Books Council gets patted on the head as if it were a studious pupil who’s handed all his homework in on time. For his diligence, he’s going to be made responsible for the other children, and he’ll be paid for it. All of the sweeties for the Books Council, then. By a long shot, the tone is not the only problem with this report. When the review was announced more than a year ago, there were immediate objections about a conflict of interest. University of Wales Press, a publisher in receipt of government funding, is under the remit of the University of Wales’ Vice Chancellor – and that is who the government appointed to chair the review’s panel. There were also questions about the appropriateness and relevant expertise across the panel membership. But the review went ahead with its panel unchanged. Apparently, the way around this question of conflict of interest is to place academic publishing outside the remit of the review. But many UWP publications are funded, through HEFCW, by the government. And, as with any other Wales-based publisher, or publisher of a Wales-themed book, some UWP titles are eligible for Books Council grants. The panel does not exclude any other form of publishing from its term ‘publishing’, so this workaround really does not hold water. Just as serious, though, is the outcome for UWP. The way the government set up the review means that, following the evasion by the earlier Diamond Review, once again the opportunity to address the predicament of the country’s sole academic publisher has been sidestepped. It is a serious omission and needs to be rectified urgently. Like panels, of course, organisations are made up of people as well as policies. Criticism hurts, but changes to an organisation’s funding and remit are worse: they pose a direct threat to jobs. These are hard times in what is already an insecure sector. More care, therefore, could have gone into acknowledging those who might be directly affected by the panel’s recommendations. Nevertheless, despite the report’s often intemperate voice, if its content is anything to go by, Literature Wales has had this coming for a long time. It’s been poorly managed and poorly governed, and its accountability to its funding body, the Arts Council, has been woefully inadequate. Perhaps the review panel ran out of vituperation after its condemnation of Literature Wales though, for precious little is saved in the report for the Arts Council, even though it is the Arts Council that has allowed Literature Wales to operate with apparent risk to public money. While that may not reflect on the Arts Council’s work otherwise, there’s a lot to answer for here, and this surely needs to be addressed. Strangely, the Arts Council appears to have suggested that its reach should expand rather than contract, and that it should take over the Books Council. This is bizarre: not only does the Arts Council have no expertise in the book trade, but it also handed over the government grant for English-language publishing to the Books Council back in 2003. Since then, the Books Council has, arguably, made a success of its expanded remit. Though it often appears to be stolid, unimaginative, and frustratingly cautious, it does its work well in both languages, and its governance seems rigorous and transparent. Even so, one problem the report does not identify is the potential for conflict of interest that exists between the Books Council’s distribution of grants, and the priorities of its Distribution Centre. But perhaps the panel did not wish to draw attention to the possibility of a conflict of interest. After all, it had its own to deflect. On a related note, it is unclear why Wales Literature Exchange, which is funded by the Arts Council, is not scrutinised, and instead is only mentioned in passing. This is a problematic omission, particularly given that a member of the panel appears to also be a member of Wales Literature Exchange’s strategy board. The panel’s criticisms of the Books Council are minor compared with those of Literature Wales, and there’s little bad news in the report for publishers, though it hardly gives them an enthusiastic endorsement. But what would the implications for writers be if much of the rest of literature support was handed over to the Books Council, as the panel recommends? There’s evidence that the panel does not really understand the needs of writers. Take the denigration of Tŷ Newydd, for example. Immersion in a writing course with other writers, away from daily demands, offers an invaluable experience that an online course never can. For a panel concerned about the sustainability of the sector, it’s also odd that it doesn’t recognise how a writing centre like Tŷ Newydd (or the similar Arvon, supported by Arts Council England) allows working writers to supplement meagre earnings through teaching. And then there are the narrow ideas of what constitutes literature that pepper the report. Not all literature is about books, and not all books are works of fiction, for example, though that is what the report repeatedly suggests. Again, this suggests the limitations of the panel’s expertise. Many writers have clearly felt increasingly alienated from Literature Wales and the direction it has taken. There is no doubt that Book of the Year, and the Writers on Tour scheme, for example, need to be established on a new basis, instead of being run down year on year. Some elements of these schemes sit towards the book-trade end of literature and publishing activity, and they could fit naturally with what the Books Council already does. Support for writing development is a less obvious fit, however. There are two: Literature Wales’ Bursaries scheme, and the Arts Council’s Creative Wales Awards. The latter covers all art forms including literature, but this seems to have been overlooked by the panel. The panel also mistakenly conflates the Books Council’s Author Advance grants with Literature Wales’ Bursaries. The former are to help enable publishers to commission work of high sales potential, the latter for writers to take time out to write. There is no crossover between the two, and nor is there double funding (for author and publisher) in the former, as the report incorrectly asserts. If the Bursaries scheme goes to the Books Council, as the report recommends, it could be enriched by linking recipients to follow-up advice and support towards securing publication. This is currently an identified gap. Perhaps directly supporting writers might also help the Books Council strengthen the ‘cultural value’ argument for its funding of literary titles, as there is repeatedly a need to counter the ‘public money for wheelchairs, not poetry’ argument. What about the creative literary endeavour that is not linked to the market? If the Bursaries are transferred to the Books Council, perhaps the Arts Council could consider expanding its current support for writing development that is not geared towards publication of a book (perhaps the Arts Council could consider this regardless of where the Bursaries scheme ends up). Of course, there is a big risk to centring most funding for writing and publishing in one bureaucratic organisation. Perhaps the worst of that risk can be mitigated somewhat by transparency, regular reassessment, and the establishment of robustly independent decision-making on the allocation of the new grants – but the risk is there nonetheless. Support for writers certainly can’t get much worse than it’s been with Literature Wales in recent years. By contrast, there’s every chance that writers (and, by extension, literature) could thrive with reconfigured schemes administered by the Books Council. These recommendations come at a time when the Books Council has a very new, expert director with vision and drive, and a deep experience of the publishing sector worldwide. Perhaps it’s a good time to shake things up like this. That could mean difficult change for many individuals, and it would need to be handled with care. For these changes to succeed, though, sufficient funding needs to be allocated to support the new responsibilities. Success would also depend on the close, ongoing scrutiny of the Books Council by us all. This funding, of course, does not consist of sweets. Instead, it provides nourishment for literature and therefore also for readers. Consequently, all of us stand to gain from it being put to work in the best way. If you want to read it, the ‘Independent Review of Support for Publishing and Literature in Wales’ report can be found here in English, and here in Welsh.